Distinctive Stone - Kitchens based in Orpington, Kent. 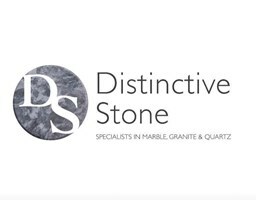 Welcome to Distinctive Stone, specialists in the installation of high quality kitchen work surfaces, bathrooms and bespoke projects. With over 21 years experience in the stone industry, and an exceptional record for customer satisfaction, we are a fantastic choice for your next project. With our extensive experience within the stone industry we provide a range of services including templating, fabricating and fixing. Our experts are able to advise on best materials for your bespoke project, all of which are available in a variety of colours and finishes. Get in touch and we will be very happy to discuss your options. Granite - is a natural hard wearing product, which we would recommend for any work surface where durability is key. Marble - most suited to bathroom environments. It gives a fantastic finish, with a variety of natural veins and markings running through the material. Quartz - is a man-made stone which is available in a wide range of colours and finishes. This versatile stone is extremely hard wearing and therefore ideal for the majority of projects and environments. Restoration - Distinctive Stone also offers a restoration service. All work is finished to a very high standard and with a wealth of knowledge in all stone types. We are a great choice for all your restoration needs. Customer Care - Our number one priority at Distinctive Stone is the satisfaction of our clients. We have built our reputation on customer care, and are proud of the service we continuously provide in the stone industry. We aim to make every step of your project as simple and straightforward as possible. Why not take a look at the review section to hear exactly what our previous clients say about us.